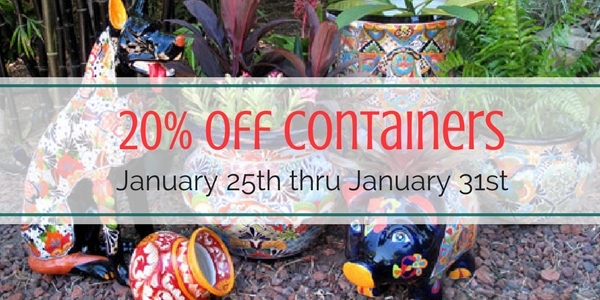 20% OFF all pottery and containers until January 31, 2018! Not sure what to do with your garden come Spring? Stop by and chat with our garden experts and we can help you get the most out of your space! Come see our Pottery Yard! Glazed, colorful Talavera, Traditional Garden Pottery, and so much more! Tap or Click here to learn more! For most Americans poinsettias are like Christmas trees: You buy them for Christmas, and throw them out along with all that shredded wrapping paper. But if you just can't bear to toss out your poinsettia, there's no reason why you can't keep it around till next Christmas.